Incepted in the year 1990, in Rajkot (Gujarat, India), we "Vimal Plastic Industries" are known as the reputed Manufacturer, Exporter and Supplier of premium quality range of Caution Barrier Tapes, Printed Namkeen Bags, Papad Printed Packagings, Printed T-Shirt Bags, Printed Plastic Envelopes, Printed Bags, Printed Non Woven Bags, Printed Diaper Bunch Bags, Printed Detergent And Soap Bags, etc. 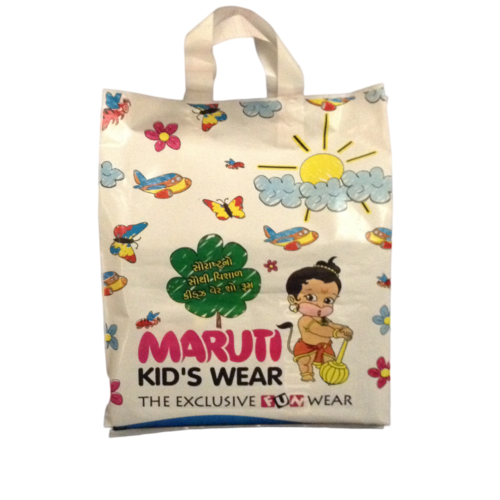 These bags are manufactured and designed using high quality basic material and cutting-edge technology as per the set industry standard norms. The offered bags are highly demanded in market for their unique features like light-weight, attractive design, tear resistance, high load bearing capacity, perfect finish and clear print. In order to provide best quality, the offered bags are rigorously inspected by our quality contractors using modern testing devices and tools. These bags are available in several colors, designs and sizes to meet the varied demands of our clients. Our quality conscious approach, simple payment option, best price structure and timely delivery have helped us to achieve best position in the industry.